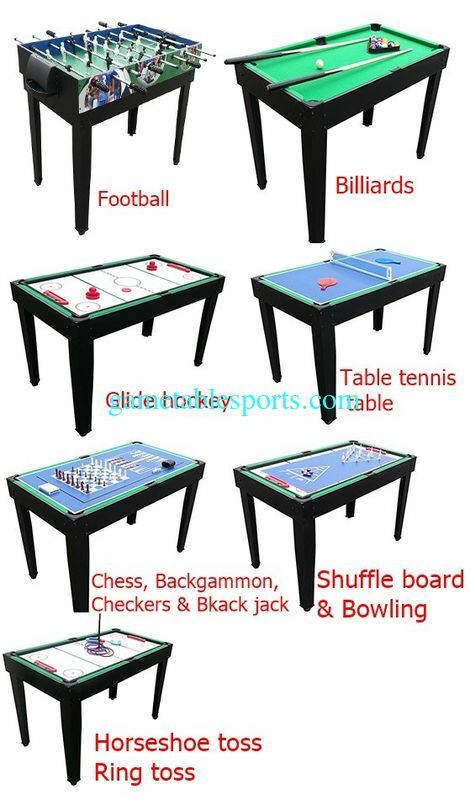 Multi-game system with soccer table, pool table, pingpong table, hockey table, shuffle board, bowling, chess, backgammon, checker, horseshoes toss, ring toss, and black jack. Lamination of soccer side aprons Out side with color design and inside with PVC laminated. 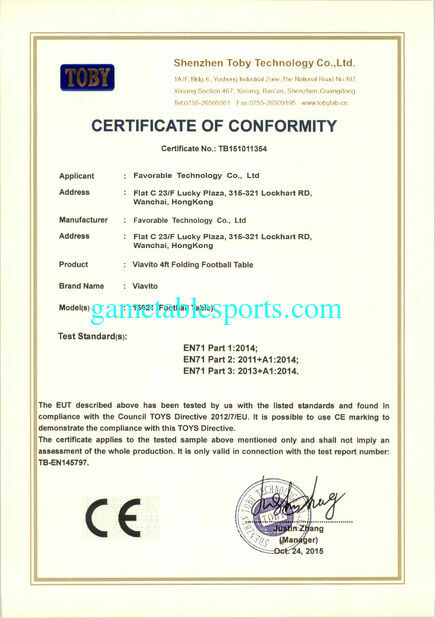 Lamination of soccer end aprons Both sides with PVC lamiantion. Ball entry: 2 plastic ball entry rings, PP black, postion on side aprons. Football goal box: 2pcs Plastic goals with manual scoring (black numerals and red score marker) on the both end of the end panels. Soccer table playfield MDF with green PVC lamination & white print, Lifted corner. 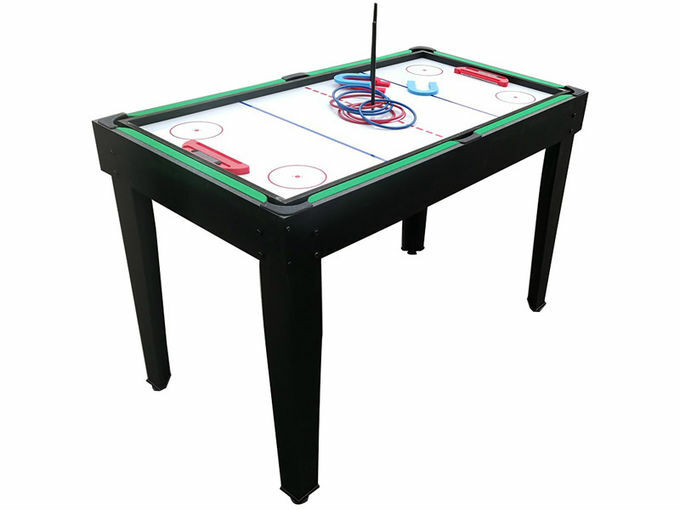 Hockey goal 2pcs red plastic hockey goal with manual scorer. 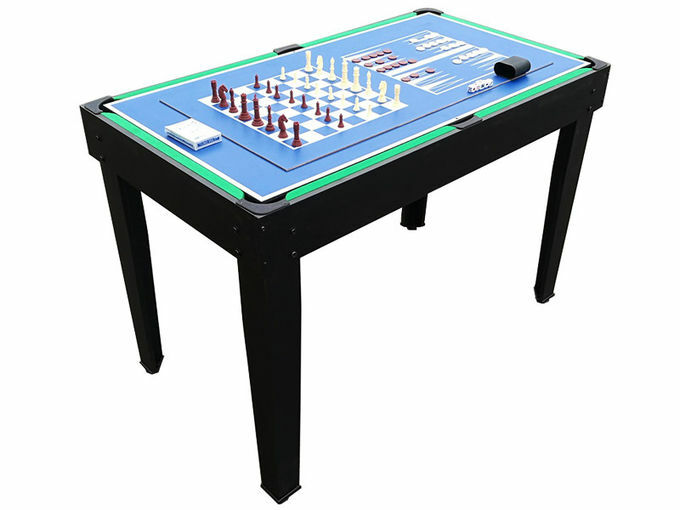 Bowling Shuffleboard/ chess + backgammon MDF both side with PVC lamination. Printed white chess and backgammon graphics. 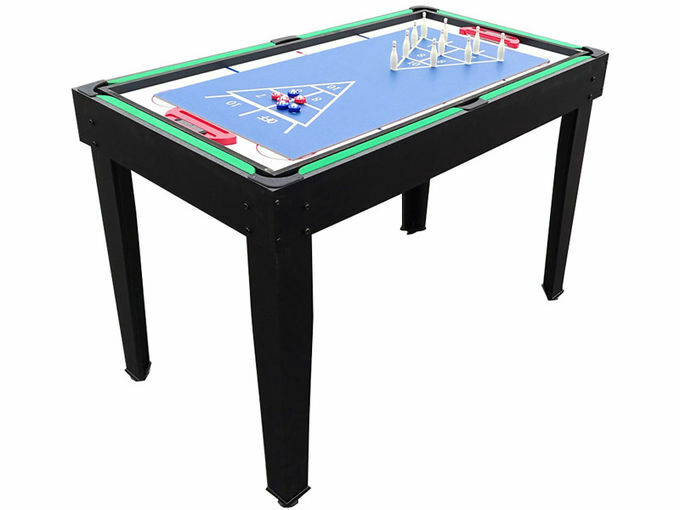 Billiards table side & end aprons: 4-3/8" wide MDF with PVC laminated. Player rods 8 pieces of 12.7mm chrome plated hollow steel rods. Player 22 pieces (3-5-2-1) singlecolor players. Stop rings 4pcs black plastic stop rings. Hand grips 8 pieces soft PVC hand grips, black.